The Ministry of Education will be funding four new elementary schools, and an additional project, in Simcoe County. 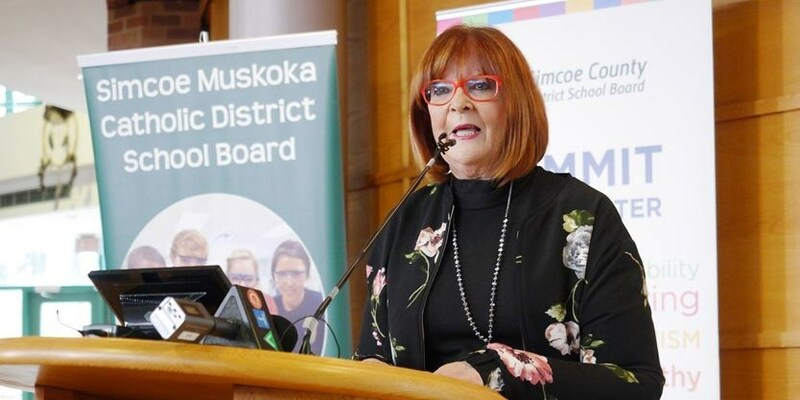 Barrie MPP Ann Hogarth, on behalf of the ministry of education, made the announcement on Jan. 29 at the Simcoe County District School Board office. “Our government is investing almost $25 million to help build four new schools in Alliston, Bradford, Oro-Medonte and Wasaga Beach, and renovate and expand a school in Orillia,” she said. The projects will create space for more than 1,700 students, 88 new child care spaces, and four EarlyON rooms. EarlyON rooms, previously called Early Year Centres, are spaces where families can access programing for their children. The new elementary school projects include: A Bradford North Public School project worth $12.1 million, which will create room for 501 students, and include two new child care rooms; An Oro-Medonte Public School project worth $9 million, which will create 357 spaces for students, and include one new EarlyON room; a Wasaga Beach Public School project worth $10.7 million, which will create 406 spaces for students, and include three EarlyON rooms; and a new Alliston Catholic school project worth $11.9 million, which will create space for 470 students, and include three child care rooms. The ministry is also providing $856,800 for additional funding at Notre Dame Catholic School in Orillia. Corriveau-Truchon said the new school in Alliston would also help to alleviate enrolment pressures at St. Paul’s Catholic School. On the public school board side, the announcement means three of its top six capital priority projects have been funded.